Probate is the legal and financial process that occurs after the death of an individual and specifically deals with the individual’s will, property, and assetsTypes of AssetsCommon types of assets include: current, non-current, physical, intangible, operating and non-operating. Correctly identifying and classifying the types of assets is critical to the survival of a company, specifically its solvency and risk. An asset is a resource controlled by a company which future economic benefit. Probate can be a time-consuming process and typically includes court appearances and a lot of paperwork. Most families hire a probate lawyer to deal with all of the issues mentioned above; however, the attorney might’ve been assigned to the case before the passing of the individual whose matters are being dealt with. All fees associated with the probate process – specifically the retainerRetainer FeeA retainer fee is an upfront cost paid by an individual for the services of an advisor, consultant, lawyer, freelancer, or other professional. The fee is mostly commonly associated with attorneys who have been engaged by the payer to offer legal services. and fees for the attorney – are typically paid out of the deceased’s estate. The process of probate can be lengthy but is generally left up to professionals. In most cases, an executor is named in the deceased’s will. While they can be a private citizen, it’s typically a lawyerLawyer Salary GuideIn this lawyer salary guide, we present an overview of several lawyer jobs and their corresponding midpoint salaries for 2018. A lawyer, also called an attorney, is a professional who practices law. Responsibilities include giving legal advice to clients during court proceedings and legal negotiations.. The executor is responsible for getting together and submitting the necessary paperwork required to start and finalize the probate process. If there is no will, or no executor is named, a family member or individual appointed by the family of the deceased may serve as executor. However, a judge must determine that the appointed person is suited for the task and give them the right to serve as executor. In the event that formal probate steps aren’t needed – meaning court hearings aren’t required – a family member or the nearest relative to the deceased takes on the role of executor and usually gets a lawyer involved to be certain that all steps have been followed appropriately. If a will is clearly spelled out, there are no contentions, and the named executor is able and willing to, the probate process simply means the elected executor is responsible for dividing and distributing assets, paying off debtsRevolving DebtA revolving debt facility (a "revolver", also sometimes known as a line of credit, or LOC) does not feature fixed monthly payments. They differ from a fixed payment or term loan that has a guaranteed balance and payment structure. Instead, the payments of revolving debt are based on the balance of credit every month., and making sure that the deceased’s estate is left as intended. 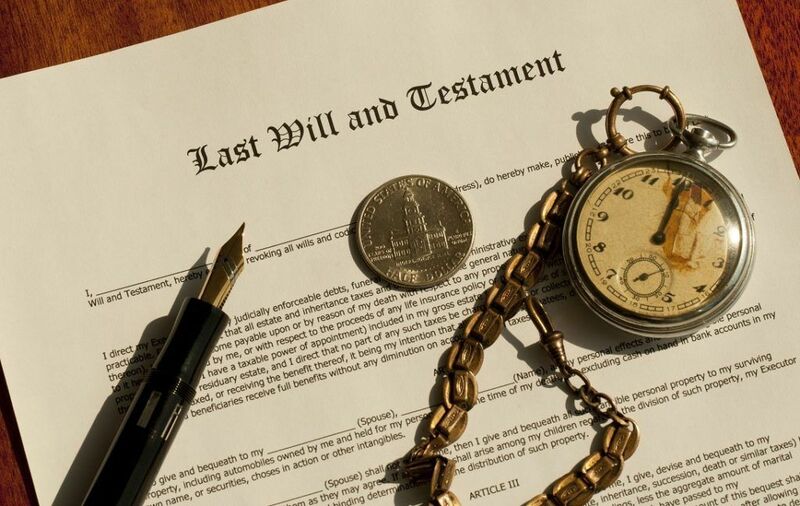 While the probate process – especially when lawyers are involved – only takes away from what beneficiaries get from a person’s will, the process can be stripped down and fairly simple. Not all property is required to pass through probate. A certain amount of property – usually measured by dollar amount – can be dealt with and distributed without the need for probate. If there is any significant property left over, there are simplified procedures that can quickly and easily transfer property to the intended or desired owner. Probate is specifically appropriate and necessary for individuals with a significant amount of property or wealth and even more needed if there are, or will likely be, those who contest the individual’s will and how the relevant assets are going to be distributed. The probate process is common and especially helpful in cases where the deceased owns a significant amount of property or wealth, as well as when there is a good chance that the will is going to be contested. For individuals with less property or firmly-established plans to deal with their things once they’ve passed, the probate process – if it is even necessary – can be fairly quick and painless. Personal Financial StatementPersonal Financial StatementA personal financial statement is a document or set of documents that outline an individual’s financial position at a given point in time. It is usually composed of two sections: a balance sheet section and an income flow section. Safe HarborSafe HarborA safe harbor is a provision in law or regulation that affords protection from liability or penalty or reduces liability if certain conditions are met. There are different laws in various countries that provide safe harbor protection.